Home » Entertainment , Gossip , photos , yemi Alade news » Yemi Alade In Major Snub Controversy … SEE What She Did !!! 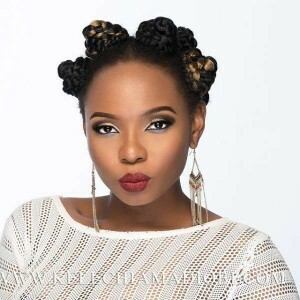 Yemi Alade In Major Snub Controversy … SEE What She Did !!! Grace Alex, a fashion blogger on Instagram claims that Yemi Alade snubbed her publicly when she asked to take a selfie with her. In the now deleted Instagram post, Grace Alex narrated how she met Yemi Alade yesterday (December 23) and was turned down when she wanted to take a picture with her. “ So yesterday I had this photo-shoot with my little brother and then decided to get something from silverbird galleria, once we got in I recognized @yemialade and I was a little excited which I learnt better after yesterday. So I got closer and asked someone who was close, if I could take a picture after standing close by for like 3 minutes taking these distant photos and I was told that I can’t until I get some of he items she was selling. An arm bracelet for 9,500 and a necklace for 11,500, in my mind that was too much. So when She was leaving the scene I got close and nicely asked if my 10 year old brother and I could get a picture with her (gladly my brother was at a distance watching his sisters folly???) and as I took up my phone to take the picture she shoved me slightly and said I shouldn’t do that.. ?? not her fault oh.. But now I got sad because my brother has to watch herself make that display and think it was the character of celebrities and has decided to write it as part of his holiday experience????.. So the story goes #nigeriancelebrities have thought me self respect is important oh.. Just act like they don’t exist when you see them.. I shared the unruly picture with my sad brother in the background with close friends, but I can’t put it up here.. Love y’all . This story is long sha?? ” wrote Grace Alex. Today (December 24) Yemi Alade has released a Swahili version of her inspirational hit single ‘Na Gode ‘. The track retains the original production credited to Selebobo; but Yemi Alade switches the vocal arrangement and lyrics, as the vocal powerhouse delivers the fan favourite in Swahili.